COPENHAGEN, Denmark -- NATO's biggest military maneuvers since the Cold War kicked off Thursday in Norway in a hypothetical scenario that involves restoring the Scandinavian country's sovereignty after an attack by a "fictitious aggressor." Russia, which shares a border with Norway, was briefed by NATO on the Trident Juncture 2018 drill and invited to monitor it, but Moscow is still angered by the exercise. Russia's defense minister had warned that Moscow could be forced to respond to increased NATO activity close to its western border. "NATO's military activities near our borders have reached the highest level since the Cold War times," Russian Defense Minister Sergei Shoigu said Wednesday, noting that the war games will be "simulating offensive military action." The war games bring together around 50,000 personnel from all 29 NATO allies, plus partners Finland and Sweden. Around 65 vessels, 150 aircraft and 10,000 vehicles will participate. The drill scheduled to end Nov. 7 takes place in central and eastern Norway, the North Atlantic and the Baltic Sea. 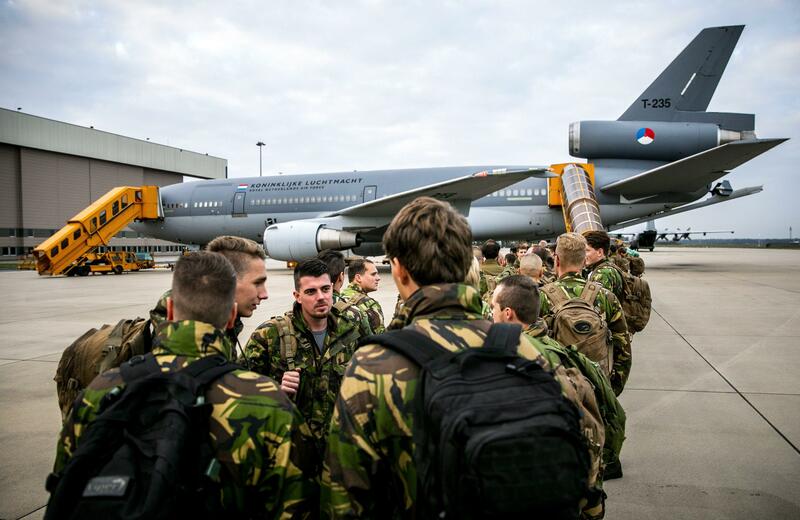 Its aim is to ensure that NATO forces are trained, able to operate together, and ready to respond to any threat from any direction, according to the 29-member alliance. In a joint op-ed published Thursday in Dagens Nyheter, one of Sweden's largest newspapers, the Nordic defense and foreign ministers said they saw "no military threats against the Nordic countries today, but we live in an unpredictable and uncertain time." "Russia has both shown the will and ability to use military force to achieve strategic goals," Sweden's Peter Hultqvist wrote together with Frank Bakke-Jensen of Norway, Denmark's Claus Hjort Frederiksen, Jussi Niinisto of Finland and Iceland's foreign minister, Gudlaugur Thor Thordarson. With U.S. backing, Estonia tells Russia "we are ready to fight"
"Cyber-attacks and disinformation are actively used to create divisions between people in Europe as well as in the United States, which in turn challenges democratic institutions and our ability to reach common conclusions," they said. Tensions in the region have grown between Baltic NATO members and Moscow, including reports of airspace violations by Russian military aircraft. Non-aligned Sweden and Finland have watched with increasing trepidation, stepping up their own military activity with cross-border exercises and drills with NATO countries.